The NVIDIA GeForce GTX 980 is a high-end desktop graphics card based on the second generation Maxwell architecture. The GM204 chip is manufactured in 28 nm at TSMC. Compared to the older GeForce GTX 780Ti, the 980 offers similar performance levels but at reduced average power consumption. The similarly named Nvidia Geforce GTX 980M for notebooks is based on the same chip, but uses less shader cores and slower clock speeds for reduced performance. Since end of 2015, the GTX 980 is also used in laptops (same chip with same clocks and branding). 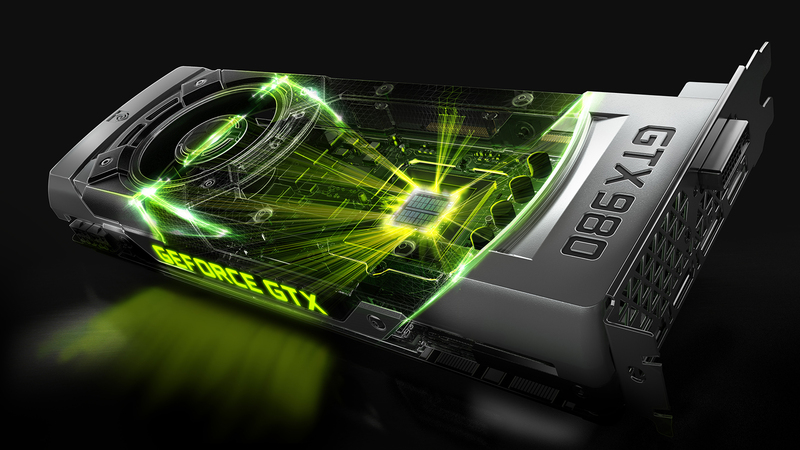 The Geforce GTX 980 supports a range of unique features like CUDA, 3D Vision, PhysX, GeForce Experience, GameStream, GPU Boost 3.0, Adaptive Vertical-Sync / G-Sync, SLI, DSR, MFAA and Virtual Reality latency improvements.